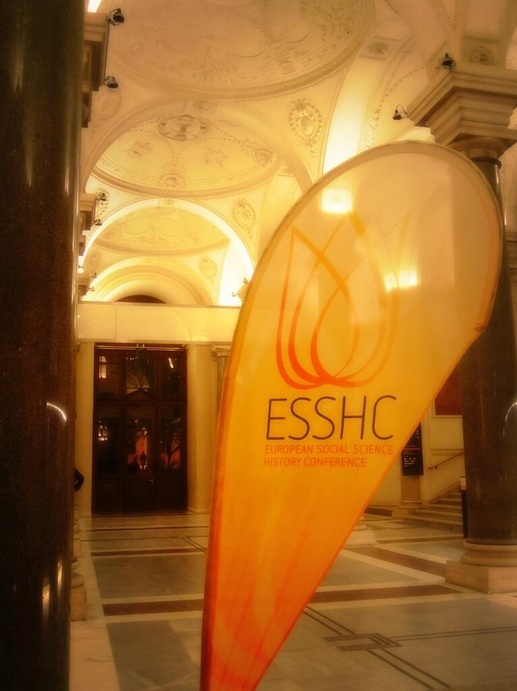 The tenth biennial European Social Science History Conference (ESSHC) was held in the opulent halls of the Universität Wien from 23 to the 26 April. This anniversary year witnessed the largest gathering in the conference’s history with over 2,000 delegates speaking in a staggering 475 sessions spread over the four days. As its name suggests, the ESSHC has an international scope, and this year brought together scholars from right across Europe, as well as from Asia, Africa and the Americas. 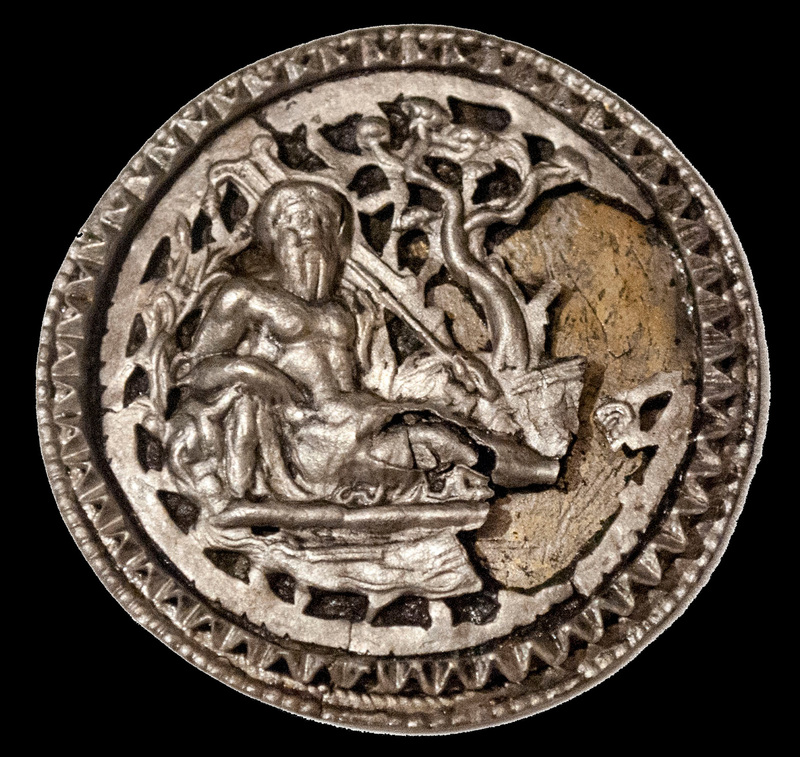 It might also be suspected that Vienna’s location right in the centre of Europe helped attract a balance between individuals working in Eastern as well as Western Europe. The conference’s diversity was evident throughout, with interesting differences in the material culture of the delegates themselves and in their customs. The tradition amongst German-speakers of knocking on the table at the end of an academic paper instead of applauding stood out as memorable quirk of the event. With such a vast range of tongues spoken by delegates, it was perhaps inevitable that the conference language chosen was English. Whether such a decision can be successful in not excluding potential speakers needs more discussion. However, it is welcome to note that the conference organisers did offer free coaching to those who were less confident in presenting in English. The way the ESSHC is organised is somewhat unusual and deserving of comment. Like TRAC the ESSHC has a committee (the Advisory Board) that oversees the conference’s organisation from year to year, but instead of the sessions and papers being chosen by the individuals from the host institution, this task is undertaken by the Chairs of the conference’s 27 different Networks. These networks attempt to cover the entire spectrum of research in the social sciences from period specialisms such as Antiquity or Middle Ages, to geographic regions such as Latin America or Africa, or more thematic concerns such as Religion, Sexuality or Material & Consumer Culture. This structure needless to say takes away a lot of the stress from the organisers at the host institution, and delegates the selection of papers to a team of subject specialists. Given TRAC’s egalitarian principles we might note that this structure does, however, invest significant power in the hands of the Network Chairs, who being well established academics may not be keen to select papers which challenge their work or that use new untested theoretical approaches. Naturally it was the Antiquity Network’s sessions that I gravitated towards, who’s Chairs are Prof Neville Morley of the University of Bristol and Prof Arjan Zuiderhoek of Universiteit Gent. It is therefore unsurprising, and not necessarily unwelcome, that most of the Network’s 10 sessions at the conference featured Chair’s research interests; in the ancient economy, the role of elites and urbanism. A particularly successful feature of the Network’s sessions were their coverage of antiquity in its fullest sense with papers by Georg Nightingale on the Mycenaean economy, Justine Walter on Greco-Roman and Early Chinese understandings of earthquakes, Yaacov Lev on Fatimid textile production in Egypt, and even Ann Carmichael on mortality in fifteenth century Milan and Florence. The Antiquity Network’s sessions were also notable for the time that many of them allowed for questions and wider discussion, in contrast to those of some other networks’ where a discussant would simply give a monologue on the subject concerned, before allowing one or two questions from the audience. It was somewhat sad to see that the turnout at many of the Antiquity Network’s sessions was not as high as might be expected at so large a conference, and in some it deal feel as if the speakers were largely speaking to each other and their existing colleagues. Surely the value of such large multidisciplinary conferences is that speakers can receive feedback from a diverse range of participants who may be able to offer interesting perspectives and insights. In order to appeal to a wider audience, outside one’s own discipline both papers and sessions need to focus on wider issues of interest to other social scientists with no interest in Roman archaeology and history. It was noticeable that those sessions which did this successfully, received larger audiences and a greater number of questions, including from those who admitted they were not Romanists. One session which did this particularly well was The Body in Antiquity chaired by Dr Ursula Rothe. Instead of papers reciting the minutiae of an already well-trodden subject, this session’s six short snappy papers each offered an insight into research which was both innovative and of interest to a wider audience of social scientists. Outside of the Antiquity Network the range of other sessions was far too broad to review in detail here, but there was certainly something to appeal to even the most introverted Romanist. Identity Construction in Multicultural Britain had much to interest the post-colonial scholar, with several papers that demonstrated just how complex identity can be amongst migrant communities, which may appear on the surface appear to share similar ethnic origins. Those interested in objects were certainly spoilt for choice, with the Material & Consumer Culture Network offering a range of sessions on topics as varied as Global Luxury Commodities and The Kitchen- a Room for Social Utopias. It was interesting that the majority of the speakers in these sessions identified themselves as historians, rather than as archaeologists, emphasising the increasing overlap between the research interests of both disciplines. At times, however, it was evident that archaeology was being bent back into its shackles as the handmaiden of history, with too many papers discussing objects with little concern for their contexts or materiality. It would be great to see more archaeologists presenting in this network at the next conference, and given the recent revival of Roman small finds research, Romanists would surely have much to contribute to wider debates on this topic. In addition to the packed schedule of sessions the ESSHC provided delegates with a number of other plenary talks and roundtables. On Wednesday evening the organisers scheduled a forum discussion on the issue of The Future of Academic Publishing. This was surely one of the highlights of the conference, and gave a platform for informed discussion to figures from across the spectrum of the Open Access debate, with Marion Berghahn of Berghahn Books, Falk Reckling of the FWF Austrian Science Fund, Henk Wals, Director of the International Institute for Social History (IISH), and Christian de Vito a researcher at the University of Leicester, and chaired by Aad Blok of IISH and also editor of Low Countries Historical Review. Aad Blok introduced the forum by summarising the development of what he called “the Open Access ideology”, before allowing each of the panellists to present their views. This format did stifle genuine discussion to some extent, and it would have been nice to have had more input from the audience. Nevertheless the forum discussion allowed both sides of the debate to be heard, and provided a genuinely international perspective on an issue which is too often focused on national boundaries, or restricted to those who are either fervently for or against Open Access. Conferences are a rare chance for the dispersed ‘imagined’ academic community to come together, making the most of this by holding open debates and forum discussions can only be a good thing. Perhaps evening debates on topical issues ought to be something that is considered for future TRACs? The ESSHC continues to grow, and as it does so it attracts an increasingly diverse international audience. I would recommend more Romanists add it to their calendars, and consider contributing when it comes around again at Easter 2016 in Valencia. Ian J. Marshman is Vice-Chairperson of the TRAC Standing Committee, and a PhD student at the School of Archaeology & Ancient History at the University of Leicester. He presented the paper The Power in Their Hands: elite identities and signet rings from Roman Britain at the ESSHC 2014 thanks to a travel grant from AHRC. If you would like to write a conference review or a guest blog for TRAC then why not get in touch. We’d love to hear from you, and to share your thoughts with the TRAC Community!